I could have chopped the capers, parsley and zested the lemon to add after the whole egg mayo was made but I wanted to let the Thermy do all the work for me. Good Times. This Sauce is a great Garnish for Chicken, Steak and Seafood so don’t be limited by it’s traditional uses… this flavour profile is delicious with Broccoli too so pare your veg with the protein you love and go for it! Put Lemon Rind, Parsley & Capers into T/M. Scrape it down to the bottom. Put the Butterfly on the blades. Add Egg Yolks, ACV & Salt and Pepper. Blend Speed 4 | 1 minute. Scrape down from the sides and the lid. Lid On. Measuring Cup in place. With the motor still running you can now add the Egg Whites. Take the M/C off and pour them in through the lid. Blend Speed 5 | 20 seconds.. So how do you do that? Well you grab 1teaspoon or 6-8 capsules of your probiotic that you have at home and you add it to the finished product of your tartare sauce.. and instead of refrigerating immediately, just pop it on the kitchen bench in a warm spot for 24-48 hours (depending on the temperature). Refrigerate after max 48 hours. 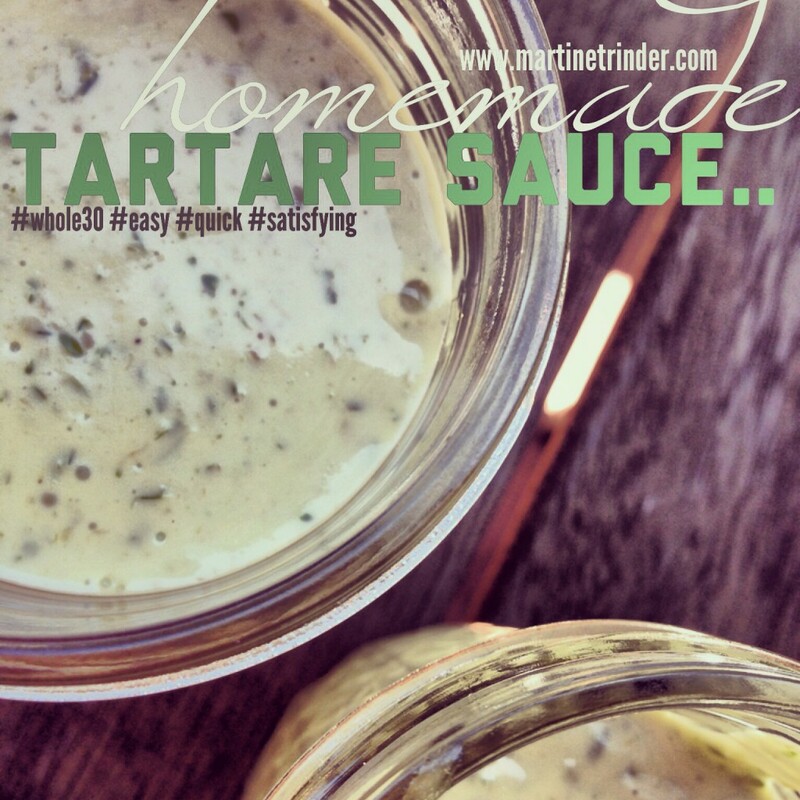 Words can’t really express how much better it is to have a whole food Tartar Sauce rather than a Sauce that is loaded with the bad kind of salt, chemicals, talcum powder and ummm more chemicals… It’s so nice to eat something within a few weeks of making it.. I’m sure the Tartar Sauce at the Supermarket is at least 6 months old! Filed Under: RECIPE's Tagged With: Condiments, DAIRY FREE, GLUTEN FREE, KETO, P3 RECIPES, P4 Recipes, PALEO, Under 10 Minutes PREP TIME! !